Simon Dawson & Paul Schroeder. Initial recording by Mark Tolle and Al 'Bongo' Shaw. "I had a bad day when I wrote Tears." "I think Ian said to John, 'You'd have to wake me up, put a gun against my head and walk me down to the vocal booth for me to sing that.' He didn't like the song, and we didn't have a gun." On Second Coming, Squire was no longer content to play the part of sociologist in his writing. Increasingly isolated, the album turned into a project of egoism and musical vanity. Here, his Led Zeppelin fixation reaches its apogee, ballooning into the sound of rock'n'roll excess and self-righteous introspection with an impassioned lament for a failing relationship. Opening with a segue by Simon Dawson on Wurlitzer electric piano, played backwards, Tears is 'Your Time Is Gonna Come' fed through a 'Stairway to Heaven' Zeppelin-esque arc from acoustic to electric folk. Continuing the mawkish, cliched, self-pity of Good Times, the song also has traces of 'The Tracks Of My Tears' by Smokey Robinson & The Miracles ("A love that could never fade through the tracks of your tears") and All Along The Watchtower (during a Leicester performance of Tears in December 1995, Ian can be heard singing: "Two riders were approaching and the wind began to howl"). The "level on the line" phrase from Daybreak also has its source in this Hendrix cut. A keyboard piece from Nigel Ipinson halfway trough the live performance allowed John to make the switch from acoustic to electric guitar. Ipinson, previously a member of Orchestral Manoeuvres In the Dark, was brought in on keyboards during the 1995 world tour, having the unfortunate effect of turning established classics into midi versions. In interviews, Squire has expressed dissatisfaction that he was not properly consulted about the recruitment of a keyboard player. If the reasoning behind drafting Ipinson in was to inject some creative inspiration into the band, and paper over relationship cracks (a la Billy Preston with the latter day Beatles), it failed miserably. The keyboards, for example, on a limp Fool's Gold at Kawasaki Club Chitta, Japan (11th September 1995), are the stuff of Mike Flowers Pops. The recruitment too of Robbie Maddix radically altered the dynamic of the band for Squire: "I think getting a new drummer showed me that I was more independent than I thought, but it was quite shocking to play with someone else after all that time as a closed unit, it was a bit of a revelation actually." On April Fools' Day 1995, Reni quit the band prior to their first world tour, the beginning of the end for The Stone Roses. Never the most media-friendly band, they gave no satisfactory explanation for his departure. 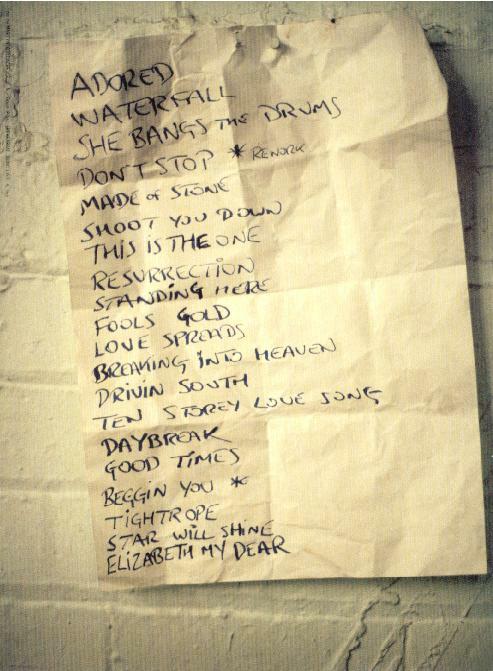 Intent on showcasing a new sound and style on their 1995 world tour, and with a refashioned setlist (having lost their funk), they soldiered on. 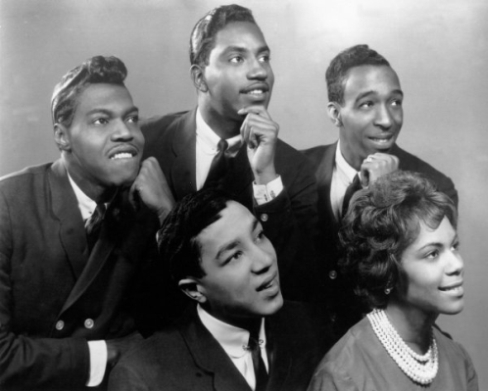 Left: Smokey Robinson & The Miracles. 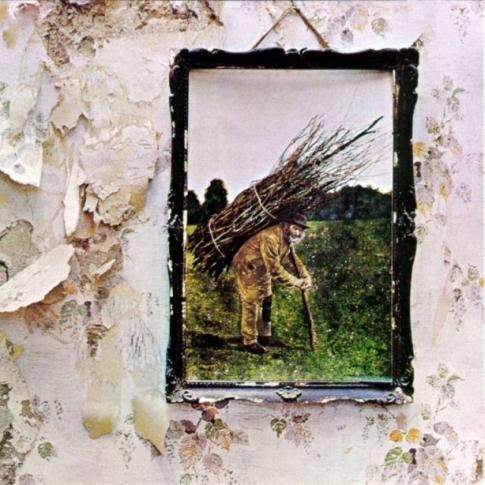 Right: 'Stairway to Heaven' can be found on Led Zeppelin IV (1971). An issue of Q magazine from February 2005 states that Reni had a particular enthusiasm for this Led Zeppelin LP.